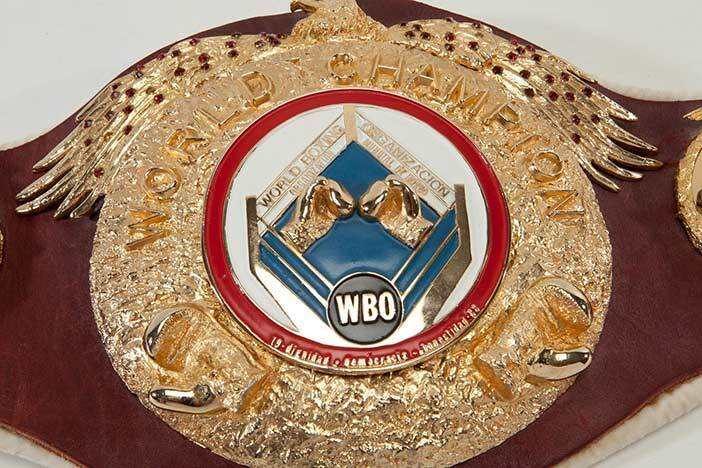 The World Boxing Organization (WBO) will oversee four major fights this week around the world, including a world championship bout. Starting on Thursday, June 14 at Korakuen Hall in Tokyo, Japan, seventh ranked Hiroaki Teshigawara (16-2-2, 9 KOs), of Tokyo, will defend his WBO Asia-Pacific Bantamweight title against the two-time world title challenger Teiru Kinoshita (26-2-1, 9 KOs), of Kobe. In the same card, 12th ranked Ryuichi Funai (29-7, 20 KOs), from Tokyo, will face former world champion Warlito Parrenas (26-7-1, 23 KOs), from Philippines, for the vacant WBO Asia-Pacific Jr. Bantamweight belt. Both fights are scheduled for 12 round as part of a event promoted by Dangan Boxing. Also on Thursday, but in Indio, California, Filipino Mercedito Gesta (31-2-2, 17 KOs) will battle Robert Manzanarez (36-1, 29 KOs), of Arizona, for the vacant WBO NABO Lightweight title, in a 10 round clash. The event, which will take place at Fantasy Springs Casino, is promoted by Golden Boy Promotions, and will feature a live broadcast on ESPN, starting at 8:30 p.m. Eastern Time (5:30 p.m. Pacific time). Meanwhile, on Saturday, June 16 at the Coliseo de Puerto Rico in San Juan, WBO Jr. Flyweight Champion, Ángel ‘Tito’ Acosta (17-1, 17 KOs), from Puerto Rico, will be making his first title defense, against 10th ranked, and former WBO Youth and Latino champion, Carlos Buitrago (30-3-1, 17 KOs), of Nicaragua, in a schedule 12 round fight. In Puerto Rico, DIRECTV subscribers will be able to see the event through channel 161, OnDIRECTV, starting at 9 p.m, Eastern time (6:00 p.m. Pacific time). Integrated Sports Media is distributing the card in the United States on cable, satellite and digital pay-per-view via iN Demand, Vubiquity, DIRECTV, DISH and live-streamed worldwide (excluding Puerto Rico) on the FITE.TV app and website (www.fite.tv), for a suggested retail price of $34.95. The event is promoted by Cotto Promotions, in association with H2 Entertainment.